When Mike Pence was governor of Indiana, he paid her firm $3.5 million of taxpayer money to design a Medicaid program that forced beneficiaries to pay premiums or go without needed care – defeating the entire purpose of Medicaid, which is specifically intended for people who can’t afford health care. 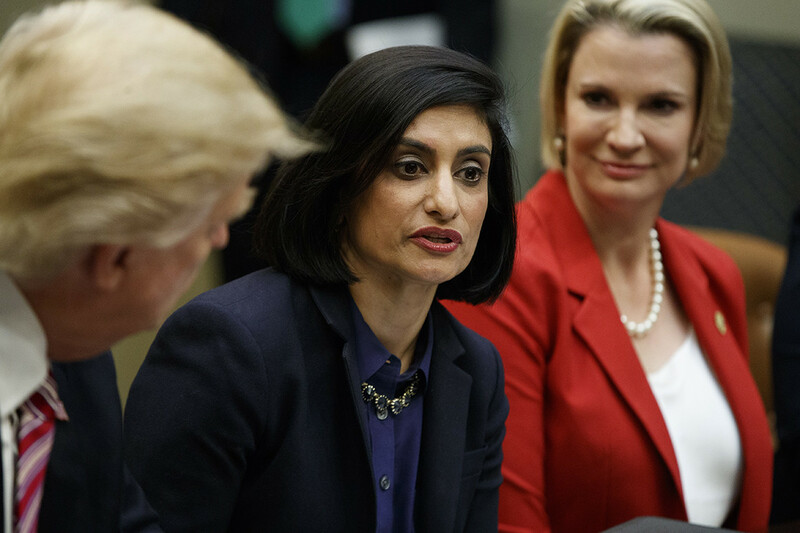 Simultaneously, Verma’s firm was paid an additional $1.2 million by the Hewlett-Packard corporation, which had contracts to administer the Medicaid program she designed. Her work in Indiana, foreshadowing her tenure at CMS, was the height of both cruelty and corruption. Verma’s attacks on Medicare are more subtle but no less dangerous. Under her leadership, CMS has been exhibiting blatant favoritism to Medicare Advantage plans, which are run by for-profit insurance corporations, over traditional Medicare. This is very dangerous for seniors because unlike traditional Medicare, Medicare Advantage plans restrict patients to a limited number of doctors and frequently and improperly deny people the care that they need. These plans lure seniors in with perks like gym memberships. It’s only when people become sick that their hidden downsides become evident. Previous articleMueller and Barr: Are we witnessing a dual cover-up?